Our commitment has been longstanding since 2010. To invest in girls’ education is also to invest in preventing disease, decreasing poverty, and lessening violence. When a woman prospers, her family prospers—when families prosper, whole communities prosper. Many girls drop out or never enroll due to marriage, pregnancy, and duties at home. We are working with the community to bridge the gap between traditional female roles in the community and the importance and benefit of equal education for girls in order to increase enrollment and opportunity. Girls’ Education in South Sudan is working against staggering statistics. 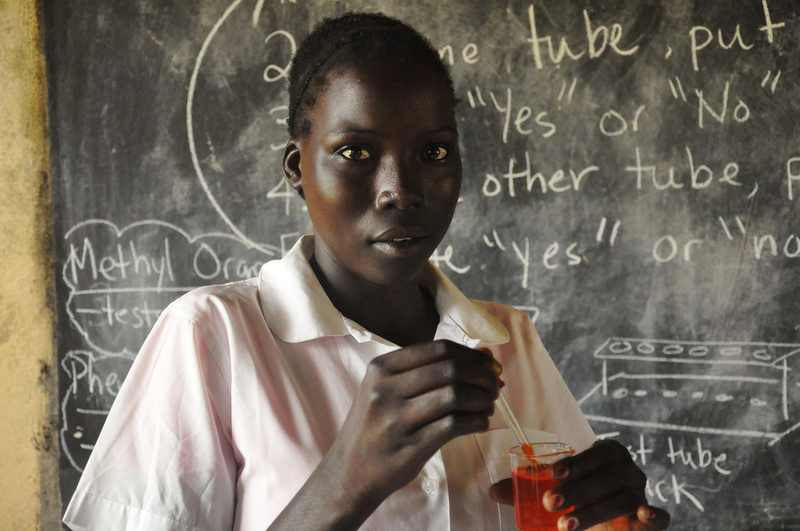 Currently in South Sudan, less than 1% of young women finish high school. In 2018 we dedicated our work to expanding our commitment to girls’ education. In June we opened our second campus, the Alok Girls’ Academy. Our inaugural class of 160 girls is composed of the fifth, sixth, seventh, and eighth grades. We are providing each girl with exceptional education from highly trained and passionate teachers. We also provide lunch, uniforms, and an array of after-school activities including volleyball and art classes. Our goal is to properly prepare the girls so that they may succeed in secondary school. Please read about a few of our students here. With your help, we can continue expanding our efforts and educating more girls each year. Diversity plays a significant role in our mission of creating peace through education. At MBSS, our students and graduates have expressed how meaningful it was to live and study with members of other tribes and residents of other countries. At the Alok Girls' Academy, we are recruiting teachers and students from all over South Sudan. Our highly trained teachers and staff are from South Sudan as well as the neighboring countries of Uganda and Kenya. I come to school so I can be an educated person in the future. I don’t have a mother because she died in 2009. I have my father but he doesn’t have anything to do. My father is poor and not educated, but he tries hard to send me to school because he doesn’t want me to be like him.